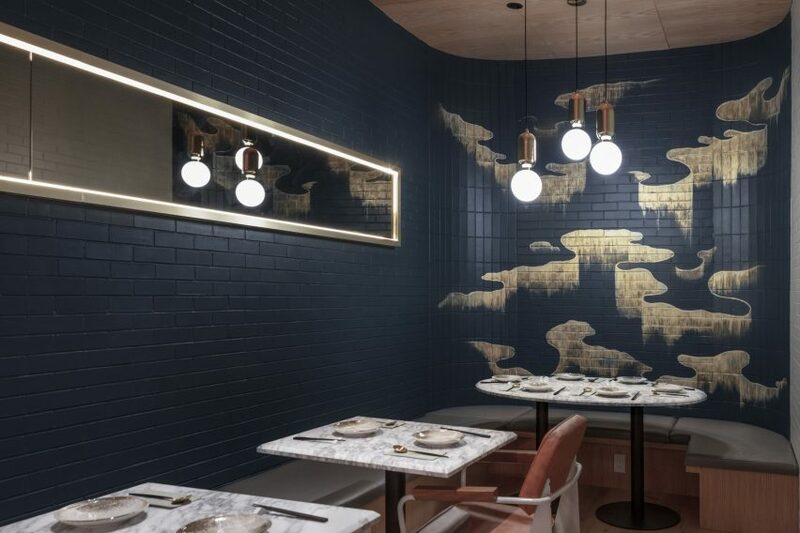 To celebrate Chinese New Year and the Year of the Pig, we've collected examples of Chinese restaurants with mouth-watering interiors from around the world. The firm's intention was to create "journey of discovery" in the 50-square-metre space as a response to client LongXiaoBao's brief to "change people's expectations of a noodle joint". Canadian studio Sarah Ward Interiors looked to China's art-deco era for the colours and motifs at this dim-sum restaurant and basement cocktail bar in Calgary. Architect Joyce Wang used styles from throughout Hong Kong's history to design this restaurant in the city, which was named World Interior of the Year 2014. Throughout the interior, chain and rope reference the area's fishing traditions, while artificial "skylights" mimic daylight in the basement space. Curved slats of laminated wood cover the walls and ceiling of this restaurant in New York's East Village, also by design firm New Practice Studio. The eatery behind is completed almost entirely in dark grey terrazzo with oversized white aggregate, which the architects used to create an "extreme visual experience". Architecture studio Michaelis Boyd introduced touches of brass and geometric pattern to a listed church in London to create a 1960s-inspired home for Cantonese eatery Duddell's. Much like its Michelin-starred counterpart in Hong Kong, Duddell's London will act as a restaurant and gallery space, displaying collections of contemporary art pieces.